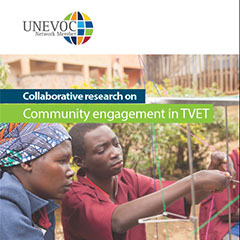 This collaborative study looks at how community engagement is carried out in UNEVOC Centres across the UNEVOC Network’s five regions: Africa, Arab States, Asia and the Pacific, Europe, Commonwealth of Independent States (CIS) and North America, and Latin America and the Caribbean. Seventy-three UNEVOC Centres from forty countries participated in the survey. 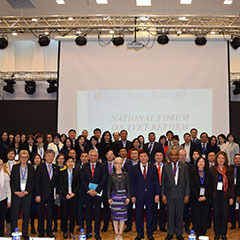 Seven UNEVOC Centres participated in a National Forum on TVET Reform and Skills for Sustainable Development in Ulaanbaatar, Mongolia. The UNESCO-UNEVOC International Centre launched its Skills for Innovation Hubs project on 28-29 March 2019 in Bonn, Germany. Technical and vocational education and training (TVET) has the potential to promote the productive participation of women in the labour market, equipping them with the necessary skills to undertake the jobs of the future. 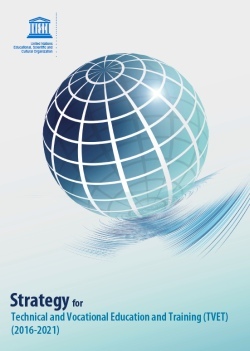 UNESCO’s Strategy for TVET for the period from 2016 to 2021.